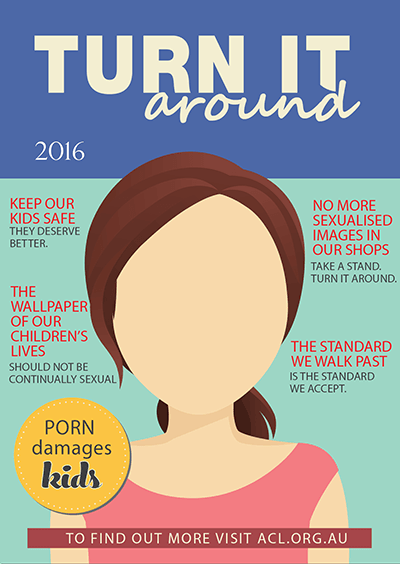 ACL are behind this Turn It around campaign. If you see a magazine that is inappropriate for young eyes, turn it around! Use these downloads to spread the word, or remind yourself that ‘the standard we walk past is the standard we accept’.